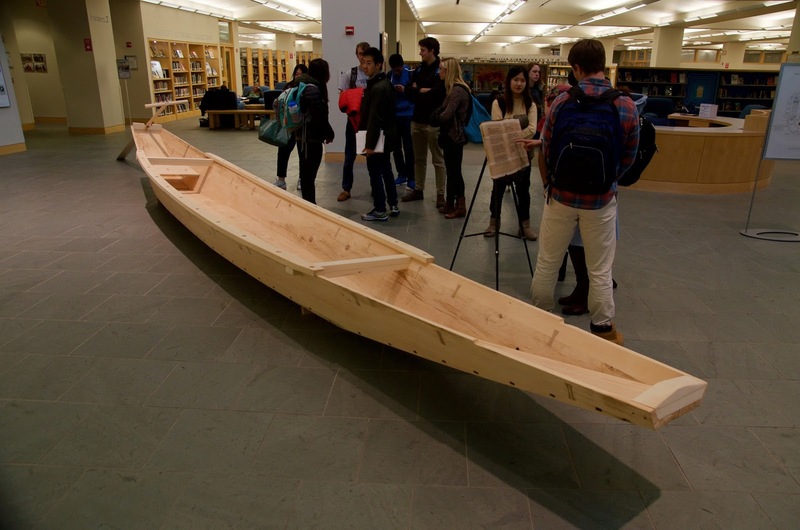 From now until November 6th the boat students built in my 2016 Middlebury College Winter Term course Building the Japanese Boat will be on display in the main library of the College. 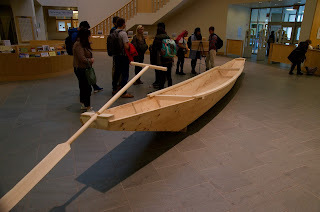 I spoke to a class yesterday and we began my presentation at the boat. 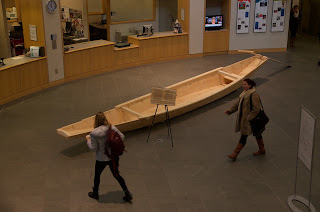 For more about its history and construction, see this blog post. For more history and background of this type, see this blog post. Looking ahead, I am planning to apply next year for an arts grant in Japan to work with probably the last surviving builder of these boats living in Niigata Prefecture, Japan. He is in his mid-70s now and built this type of boat professionally until about twenty years ago. He was the builder of the boat referenced in the second blog link, above. 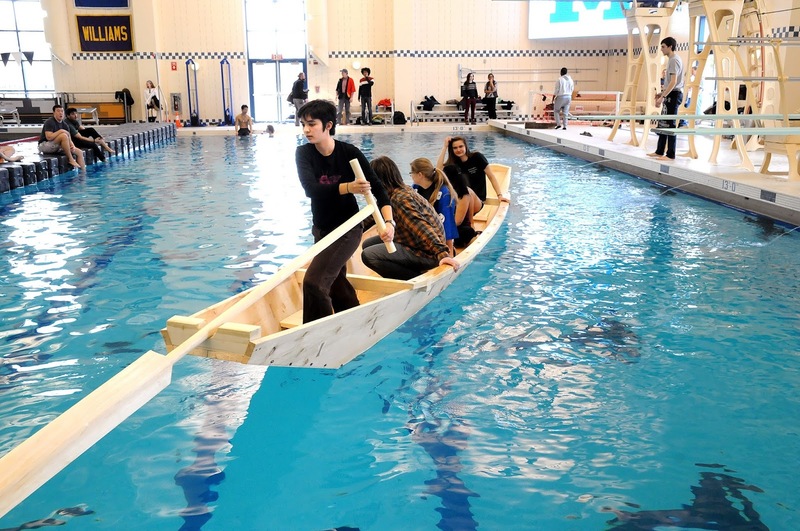 These boats were built in Japan up to 35-feet long. I realized our classroom space wasn't big enough and luckily I had plans for a 27-foot version. Plenty big enough! Professor Linda White's class on Globalization and Japan gathers around the boat. Our launch last February in the College's pool, photograph by Trent Campbell of the Addison Independent newspaper.